The protracted refugee crisis across the globe has aggravated violent conflict and xenophobia, becoming a breeding ground for terrorism and tribalism, notwithstanding the massive deaths of fleeing refugees seeking a safe haven. Effective and successful resettlement, repatriation and integration of refugees requires a deeper understanding of the factors driving the refugee crisis. From violent conflict in the Horn of Africa, civil strife in Syria, tropical cyclones in Southern Africa, earthquakes in Asia, to the economic impasse across Africa, various factors account for the surging refugee crisis. The net effect of this has been economic refugees, environmental refugees and political refugees. Conceptualized on January 1, 1951 by the Convention relating to the status of refugees, a refugee refers to a person who, “…owing to well-founded fear of being persecuted for reasons of race, religion, nationality, membership of a particular social group or political opinion, is outside the country of his nationality and is unable, or owing to such fear, is unwilling to avail himself of the protection of that country; or who, not having a nationality and being outside the country of his former habitual residence as a result of such events, is unable or, owing to such fear, is unwilling to return to it”. In this regard, it is important to take into cognizance the fact that refugees are victims of global ills and not causes in themselves, hence their rights should be upheld as internationally protected persons. A major driver of the refugee crisis is climate change and its related effects. 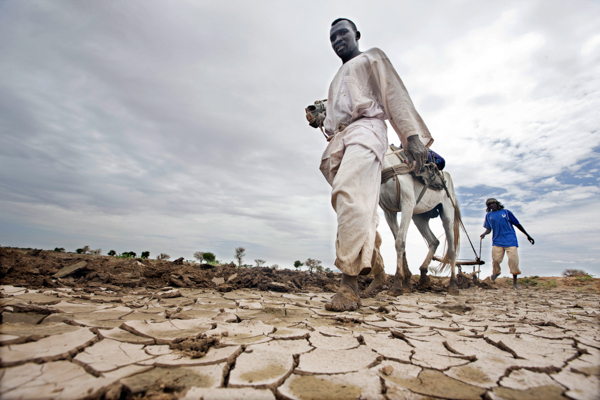 Climate change has driven the refugee crisis by affecting natural life support systems, coupled with the effects of natural disasters such as tropical cyclones and droughts. Affected areas in this regard include Southern Africa, Senegal, Tanzania, and Bolivia. One example is the adverse effects of the 2001 cyclone Eline that devastated large parts of the Limpopo basin in Southern Africa (Central and Southern Mozambique, South East Zimbabwe, parts of Botswana and South Africa). This was followed by cyclone Japhet in 2003 and cyclone Funso in 2012 which hit Madagascar and Mozambique. All these cyclones brought on by climate change resulted in over 300 000 environmental refugees in the SADC region and over 400 000 internally displaced persons. In equally disturbing statistics, the United Nations High Commissioner for Refugees Antonio Guterres, pointed out that the world has approximately 25 million environmental refugees. Sub-Saharan Africa accounts for twenty-five percent of this population even though it only constitutes ten percent of the world’s population. Appreciating this background will generate understanding towards the principle of freedom of movement and thus facilitate attitudinal and social transformation of nation-states hosting refugees. Another driver of the flights of refugees has been violent conflict and human rights violations. Typical examples in this case include Rwanda, Mozambique, Afghanistan, Bosnia and Herzegovina. The 1994 Rwandan genocide resulted in over 2 million refugees, comprised mainly of the persecuted Tutsis. In Libya, Iraq and Afghanistan, coerced military mobilization, torture and other grave systematic human rights violations have been at the heart of the refugee crisis. It is therefore important to remember the fact that a refugee’s need for protection stems from violation of his or her rights, coupled with the his or her government’s failure to protect its own citizenry. In many cases the government itself is the perpetrator, thus leaving their citizenry with no choice but to seek a safe haven elsewhere. A misunderstanding of the underlying drivers of the refugee crisis will result in a misdiagnosis and wrong prescription for the problem which is likely to be incompatible with international law and protocols for refugee protection. A typical example in this regard is the Mediterranean crisis which has witnessed deaths of refugees from Syria, Somalia and Eritrea. The European Union in this case has demonized the smugglers who are trying to ship refugees, but these smugglers are only a secondary issue. The problem is not the smugglers but the refugees being smuggled into Europe. Smuggling is not the driver nor engine of the refugee crisis, it is but a scapegoat for European politicians who are turning a blind eye to the crux of the matter. Regional bodies like the European Union should make a united effort in burden and responsibility sharing through inter-governmental commitments towards ameliorating and relaxing structures that inhibit movement of people. This will make fruitful strides towards mitigating effects of the refugee crisis. 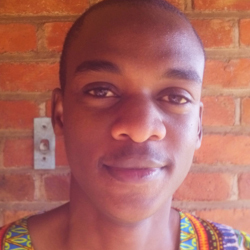 Philip Nyasha Fungurai is a researcher who holds a Bsc Honours Degree in Peace and Governance with Bindura University of Science Education. He is also a peace building, human rights and democracy patron and specialist who works in cohorts with civil society organizations, research institutes and think tanks in Zimbabwe and Africa.